As I’m sure you’d agree, push-ups are a great way to increase your fitness level. Problem is, it’s way too easy to cheat by flaring out your elbows or not maintaining a straight alignment during the motion. Cheating is hardly the worst part of it as improper elbow alignment can (and usually does) cause some pretty painful damage to your shoulders. I know this because I used to card carrying member of the Bad Posture Push-Up Cheaters Club for Men. It wrenched my shoulders pretty bad and took several weeks to get back to normal (much of it involving lacrosse ball therapy on the sore muscles). True, doing push-ups properly will not win you any awards and actually may lead other, less informed, less observant students to think you aren’t able to bang out that many (because, boy are that a LOT harder to do correctly!) push-ups. Well, they’re right. You will be doing fewer but you’ll be getting maximum benefit and minimizing injury. 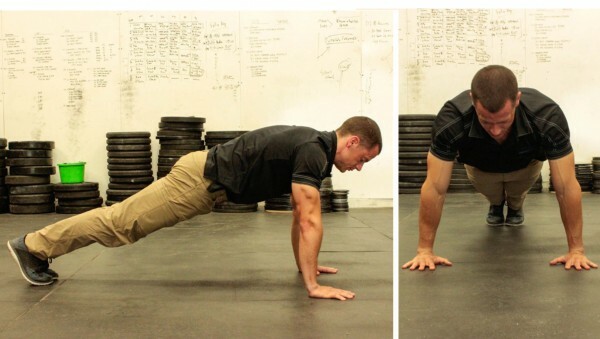 This is a great article from Outside Online on proper push-up form and how to do them right! Check it out and keep yourself — and your shoulders — safe.